Locksmiths are essential contacts to have when you have your own home, apartment, car or business. They ensure safety and protection for your loved ones and employees and they can even secure your possessions and assets through the installation of locks and modern security systems. 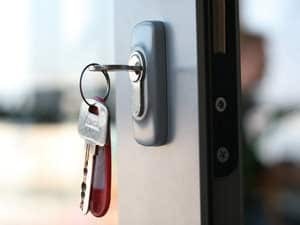 Additionally, they can also get you into your buildings should you misplace your keys or break your locks and they can even make duplicates or conduct repairs for you. If you are looking for the best Thousand Oaks locksmith, 7 Day Locksmith is your go to company. Our work is unparalleled in the industry and we make sure that our clients get the best possible service that they deserve. do simple key duplication services, so that you’ll have a spare should you lose or ruin your keys from too much use. We also have the capability to get you into your homes, automobiles and offices should your access suddenly disappear. At the same time, our team can conduct thorough repairs on broken and ineffective locks so that they may be used again. We can do this for homes, apartments, condominium units, automobiles, offices, warehouses and a variety of other properties. We also can do thorough studies and analyses on your currently security systems, and using our knowledge of modern practices and the newest and brightest security products out there, suggest the many ways you can improve the security of your home, so you can rest assure that everyone and everything inside will be safe and far from harm and trouble. 7 Day Locksmith is uniquely aware that our client’s time and efforts are valuable. Because of this, we strive to be the one stop shop for all of their possible needs at the present and in the future. certificates, assuring that their work is up to the best possible standard in the industry. It just doesn’t stop there. The brilliant team members of this Locksmith Thousand Oaks CA understands that the landscape is constantly changing. New products are always introduced and developments are always happening. This is why we make sure that we are kept abreast of the newest happenings. We study. We learn. We acquire new knowledge. We take courses and workshops. This is part of our dedication to provide the greatest possible service to our clientele. To complement our top of the line knowledge and insights, we also utilize the best possible equipment to help us achieve our goals. From our tools, to our duplicating machines and security systems that we suggest to our hundreds of clients, we ensure that we are only using the finest gear and apparatus to get the job done. A comprehensive line of services and excellent skills are not our only commitment to our customers. We know the reality of getting our services. We know most of the people looking for a Thousand Oaks Locksmith don’t have us in their budgets. We are an expense, something that’s not part of their plans. For this reason, we try to give them the best and most reasonable price possible. We are the practical and intelligent choice. We ensure that you’re not getting cheated. With our service and our reasonable rates, you also won’t feel that you are getting cheated. Our work feels like you’re paying for premium work, something that’s twice as expensive. Professionalism is also one of the core characteristics of our company. We try to hold the highest degree of competence, effectiveness and reliability in everything that we do. We don’t only get the job right and we don’t just work hard to complete our responsibilities, we make sure all of our customers are taken care of and satisfied. We offer 24 hour services, 7 days a week. Customers can call our hotline or reach us by email anytime of the day, whether it’s the early morning, whether it’s at the evening or even when it is midnight. We know that trouble doesn’t choose a respectable schedule. This is why that we make ourselves available as soon as we are needed by anyone in the Thousand Oaks area. We also make sure that our clients are aware and understand what we’re doing. We are working on their own possessions and we believe this is part of our service. We listen to each question that they have and address them one by one. We explain what is happening, we given a glimpse of our complex processes and we tell them the expected outcomes. We also address each possible concern that they have and assure them that if anything goes wrong, we will just be waiting at the other end of the line, prepared to help. Best of all, we try to do our jobs at the quickest and most efficient time possible, so all of our customers can get back to their daily routines. Having your very own Thousand Oaks locksmith is an important decision. For the best and most trusted service in the area, choose 7 Day Locksmith. With our offers, knowledge, rates and commitment to professionalism, we’re pretty sure that you won’t regret it. 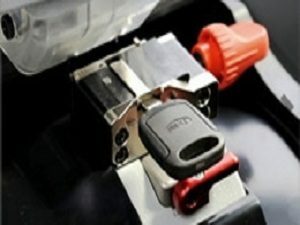 One of the unique advantages of 7 Day Locksmith, one of the best locksmith Thousand Oaks, is that we have a wide selection of services. Unlike other companies that focus on a single expertise, such as key duplication, lock repair, security system upgrades and replacements, we try to accommodate every single thing that our clientele may need. We do simple key duplication services, so that you’ll have a spare should you lose or ruin your keys from too much use. We also have the capability to get you into your homes, automobiles and offices should your access suddenly disappear. One of the things that sets 7 Day Locksmith apart from the rest of the Thousand Oaks locksmith in the area is our knowledge and expertise. Our team of men and women are equipped with state of the art knowledge and insights gathered from years of experience in the field. They have seen the worst problems and they have efficiently and successfully solved every one of them. Additionally, they also hold the highest and most reputable license andcertificates, assuring that their work is up to the best possible standard in the industry.